The SKA will be the largest radio telescope in the world, and will be co-hosted by South Africa and Australia. It will comprise thousands of antennae in Australia and on the African continent. 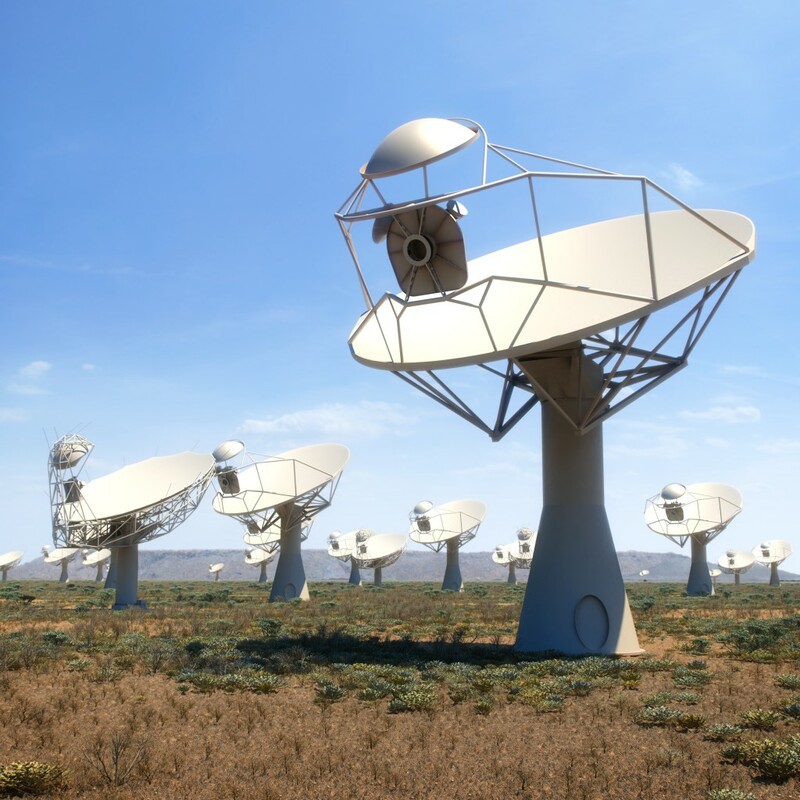 South Africa’s own 64-dish MeerKAT telescope, which will form part of the SKA, is expected to be fully operational at the beginning of next year. This is the first time since South Africa was chosen as a co-host of the giant telescope that the budget allocation has decreased. In last year’s estimates of national expenditure, the project, which is one of the department of science and technology’s flagship projects, was allocated R2.1-billion. SKA South Africa director Rob Adam said that he was not able to comment as the project had not yet received its allocation. However, this forms part of a larger move towards austerity. The department of science and technology’s budget, which has been steadily increasing since its formation in 2002, is now stagnating. Compared to the 2015 national budget, both the 2016-17 and 2017-18 allocations have been decreased by about R100-million. In terms of the 2016 budget, the department has been allocated R7.43-billion for 2016-17, R7.56-billion for 2017-18 and R7.76-billion for 2018-19. “The amounts are reasonable,” said Mjwara. “We’re happy that at least the budget is still around R7.5-billion. There are [departments] that have lost several billion in their budget. In the entire context [of South Africa’s economic situation], we’re also contributing to belt tightening. “We hope that, as the economic situation becomes better, it will increase. That applies to the SKA too,” he said. South Africa’s Square Kilometre Array (SKA) infrastructure designs got a R40-million injection from the European Union (EU) on Tuesday. The SKA, which has a conservative price tag of €2-billion, will be the world’s largest radio telescope, comprising thousands of antennae throughout Australia and Africa, with the core in South Africa’s Northern Cape. It will attempt to answer some of science and humanity’s most baffling questions, such as: Is there life on other planets, how do galaxies form, and what is dark matter? First, though, scientists and engineers have to design the telescope which will stretch across two continents. 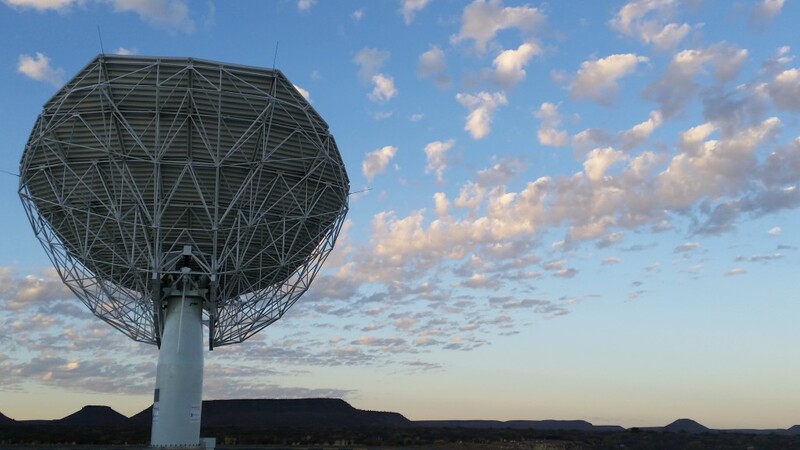 The SKA South Africa-led consortium – responsible for the infrastructure on the local radio astronomy site near the town of Carnarvon in the Northern Cape and headed up by SKA South Africa’s Tracy Cheetham – received about €2.2-million from the EU’s Horizon 2020 Fund to undertake a detailed design for the site. Given the current rand weakness, this translates into more than R40-million. The SKA project received a total of €5-million from the fund, which aims to shape research, science and innovation in the EU. This money, earmarked for SKA’s infrastructure design, will be shared between the SKA Organisation’s head office in the United Kingdom, Australia’s infrastructure consortium and South Africa’s. “Ambitious projects [like the SKA] capture the human imagination and can lead to life-changing discoveries and innovations as well as new knowledge for the whole world,” EU commissioner for research, science and innovation Carlos Moedas said. The design process began last year, and will continue until 2017. SKA construction is expected to commence in 2018. 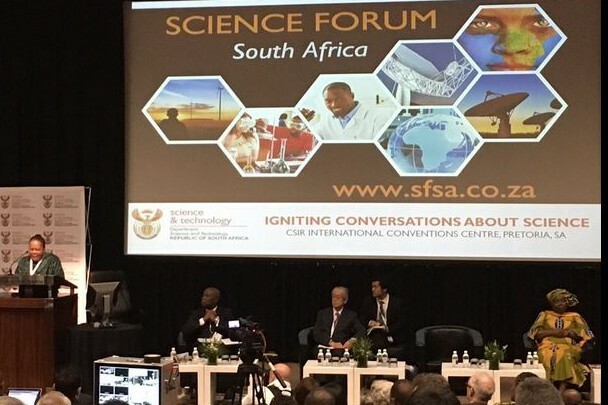 Flagship initiatives such as the Square Kilometre Array (SKA) project “have the potential to support our training and production of the next generation of scientists and technologists in Africa”, science and technology minister Naledi Pandor told the opening plenary of South Africa’s inaugural Science Forum. The SKA, which has a conservative price tag of EUR2-billion, will be the largest radio telescope on Earth, with thousands of antennae throughout Australia and Africa. The core of the telescope will be in South Africa’s Northern Cape. All celestial bodies emit radio waves, and by collecting these relatively weak signals, scientists will attempt to answer some of humanity’s most baffling questions: Is there other life in the universe, what happened right after the big bang and what is dark matter? However, this initiative is not limited to South Africa. There are eight other African partner countries – namely Botswana, Ghana, Kenya, Mauritius, Madagascar, Mozambique, Namibia, Zambia – which will have collections of SKA antennae in their countries. As part of its efforts to ensure that African countries have the capacity to host a portion of this giant telescope, SKA South Africa initiated a human capital development programme. To date, more than 600 people from the continent have received bursaries to become technicians, engineers, or scientists. SKA South Africa director Bernie Fanaroff has said that this project has reduced South Africa’s brain drain, with South African scientists and engineers returning home as well as foreign experts being attracted by the possibility of working on the telescope. South Africa is also building its own telescope: the 64-dish MeerKAT, a precursor telescope being design, built and funded by South Africa, will form part of SKA Phase One. The first five years of the MeerKAT’s observing time had already been allocated to scientists from all over the world, including South Africa, Prof Russ Taylor told an audience at the Science Forum. But one of the major challenges of modern radio astronomy – a problem which will be exemplified in the SKA – is how to process all of the data coming from the antennae, he said. Taylor is one of the SKA research chairs, based at the University of Cape Town and the University of the Western Cape. An exaflop involves a billion billion calculations per second. However, at the moment, South Africa lacks data scientists, and there is a concerted push to training people in this area, so that the country is not left out of this field of SKA science. In September this year, three universities – the University of Cape Town, the University of the Western Cape and North West University – launched the Inter-University Institute for Data Intensive Astronomy. Taylor told the packed room at the CSIR’s International Convention Centre that the role of the Inter-University Institute for Data Intensive Astronomy was to “work on a solution for big data, but also to train people”. NOTE: This is part of a series produced for Independent Newspapers’ post-Science Forum supplement. Rows of racks hum in an underground bunker, hidden from the scorching sun and the sensitive radio antennas that dot the desert landscape in the Northern Cape. All processing capacity for South Africa’s Square Kilometre Array (SKA) precursor telescope, MeerKAT, has to be buried so that it will not interfere the dishes which will detect the relatively weak radio signals from space. The 64-dish MeerKAT will produce about 2.5Tb/s, all of which will have to be correlated and processed before it is sent to Cape Town, via optical fibre, for analysis. 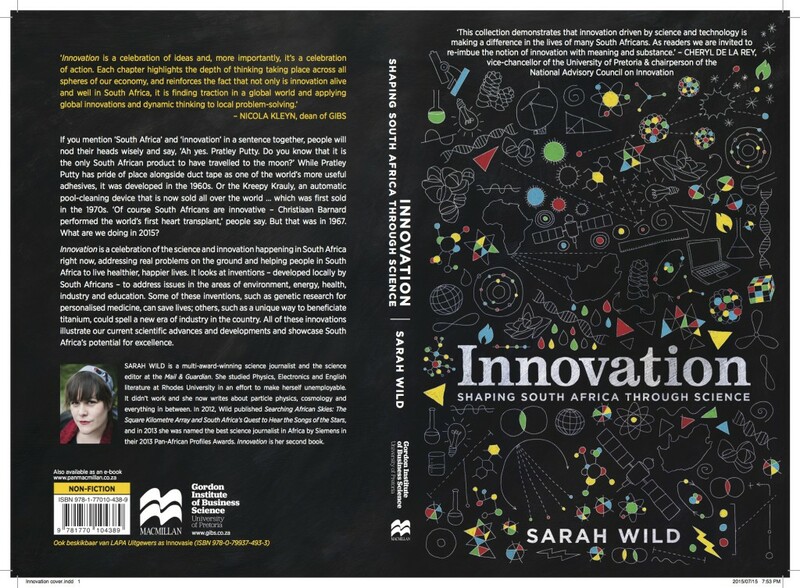 Enter SKARAB, the latest incarnation of technology that will achieve this. 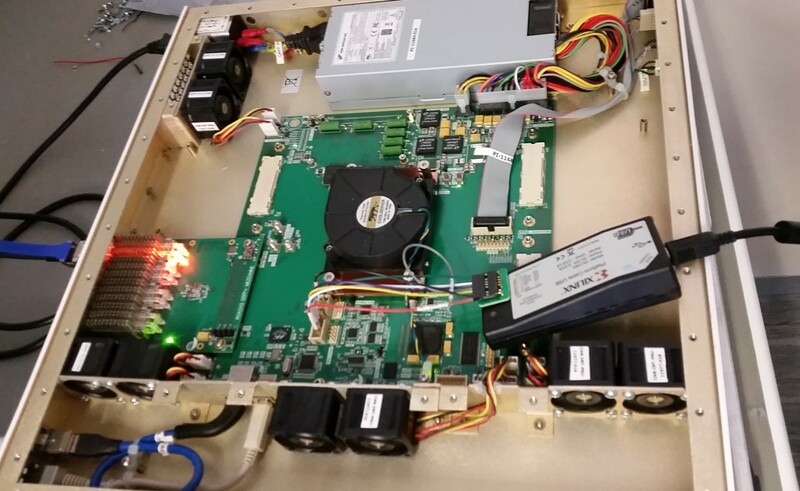 SKARAB, which stands for SKA Reconfigurable Application Board, is based on a field-programmable gate array (FPGA). It was designed and is manufactured by South African company Peralex. For more, find the article — originally published in Mail & Guardian — here. China this week joined a “select” group of countries that had entered into negotiations to create a treaty organisation to govern the Square Kilometre Array (SKA), the SKA Organisation said on Tuesday. The SKA, which has a conservative price tag of €2-billion, will be the world’s largest radio telescope, comprising thousands of antennae throughout Australia and Africa with the core in South Africa’s Northern Cape. It will attempt to answer some of science and humanity’s most baffling questions, such as: Is there other life in the universe, how do galaxies form and what is dark matter? With many countries – each trying to protect their investment and interests – and hundreds of scientists and engineers involved in the project, the project is looking to emulate other intergovernmental mega-science projects, such as the European Organisation for Nuclear Research (CERN). Established in 1954, CERN has more than 20 member states and, according to the organisation, has more than 10,000 visiting scientists from more than 113 countries going to the CERN laboratory for their research. The other countries that have signed letters of intent include Australia, Italy, the Netherlands, New Zealand, South Africa and the United Kingdom. SKA Organisation director-general Phil Diamond said this was a “very positive step both for the project and for China, one that opens the prospect of industrial contracts for Chinese industry and observing time for the Chinese astronomical community”. After having signed a letter of intent, the country has to go back to its Parliament to get it ratified. The aim was to have a drafting of the SKA Intergovernmental Organisation’s treaty or convention completed by the end of next year, the organisation said. Construction of SKA Phase 1 is expected to begin in 2018. At that meeting, Bignami said that he was “absolutely” confident that the Organisation – which currently has 10 members (although only seven have so far signed letters of intent regarding the intergovernmental organisation) – would attract more members, and that they “expect to have 15 members by the end of next year”. The Square Kilometre Array (SKA) phase one will now move into its final pre-construction phase, smaller than initially anticipated but within the EUR650-million budget cap. Construction will begin in 2018. The giant telescope, which will comprise thousands of antennae in Australia and Africa, with the core in South Africa, will be the largest scientific experiment in the world and will attempt to answer some of humanity’s most enigmatic questions, such as: Is there other life in the universe, how do galaxies form and what is dark matter? However, it was initially envisioned that the telescope would be on one continent and, following the site decision in May 2012 when it was decided that the telescope would be split between South Africa and Australia, scientists and engineers have been working on a design that would accommodate telescopes in both countries, while still getting the maximum science out of the instrument. As part of the bid to host the giant telescope, Australia and South Africa developed precursor telescopes, named Askap (Australian Square Kilometre Array Pathfinder) and MeerKAT respectively. The second dish of the 64-dish MeerKAT was erected in February and the entire telescope is expected to come online in 2017.